Spanish artist Miguel Ángel Belinchón Bujes, or Belin, has long been known in the graffiti world for his photorealistic murals. 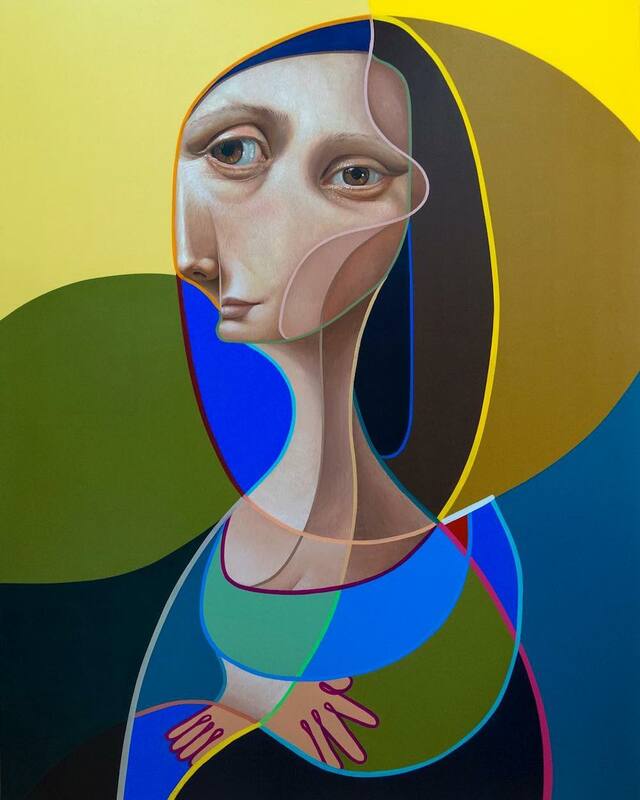 After a recent trip to Pablo Picasso’s birthplace however, his work has begun to adopt elements of cubism—now producing creative portraits in a style he’s dubbed postneocubismo. His works are often based on loved ones, breaking up elements of their faces in order to recompose eyes, ears, and mouths into distorted configurations. Over the years, I have developed a sewing technique that allows me to blend colors and establish tonalities that resemble the techniques used in classical oil painting. The direction in which the threads are sewn mimic the way brush marks are layered within a painting which, in turn, allows for the allusion of depth, volume, and form. My stitching methodology borders on the obsessive, but ultimately allows me to visually evoke painterly renditions of flesh, hair, and cloth.